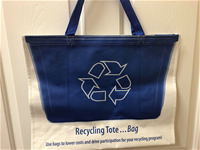 Making Multi-Unit Recycling EASY With Reusable Recycling Bags! Reusable recycling bags have emerged as an option for multi-family dwelling recycling because they simplify the recycling process. Recycling bags provide value for multi-unit complexes, residents, municipalities and building managers in ways that bins can't: 1. Affordable 2. Space Efficient 3. Eco-Friendly 4. Educational 5. Fully Customizable Curious? Visit the Factory Direct Promos' team in Booth #834 to get your questions answered. 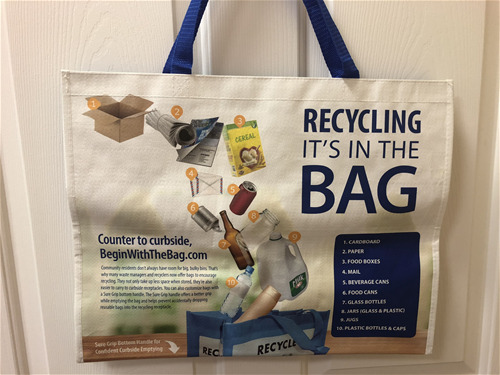 Making Multi-Unit Recycling EASY With Reusable Recycling Bags! Reusable recycling bags have emerged as an option for multi-family dwelling recycling because they simplify the recycling process. Curious? Visit the Factory Direct Promos' team in Booth #834 to get your questions answered.